It is hearty, filling, and very flavorful and can be served with a variety of other foods and drinks. It can make a wonderful dish for a casual dinner out on your patio or be the first course at an extremely formal affair. Whatever the case, choosing this delicious soup for any type of meal is a delightful choice that will be enjoyed by all at your table. And one of the best aspects of making this soup is that it can be a vegetarian choice. Just substitute the beef broth that the recipe lists for a quality vegetable broth. The history of this unique soup is quite interesting and spans the centuries. French onion soup was thought to have first been made and consumed during the days of the Roman Empire. By the time it made its way to France in the 18th century, it had gone through many transitions. It was originally thought to be the food of the common people. Its inexpensive and easily obtainable ingredients made it a food that was simply made with minimal fuss and ingredients. Over time though, it caught the attention of French royalty and that of many great French chefs. Since then culinary experts have worked hard to produce their own versions of this infamous and tasty dish. In France, there was and still is two schools of thought in the preparation of this soup. There was the Paris version, the one closest to what we are familiar with, in which chefs insisted on using some type of meat stock and a wine or cognac in the cooking process. Most American restaurants use this method. The Lyon, France, way of preparing this luscious dish was very different. These purists insisted that no stock of any type was needed and just used water, and they tended to use Madiera or port wines in the preparation. Sometimes they added butter or egg yolk to their personal recipes. French onion soup became very popular in the United States in the 1960's. This was partially due to the television series "The French Chef," hosted by Julia Child. Ms. Child featured the making of this delightful soup during the second episode of this well-received show. Her simple instructions and forthright manner made it easy for viewers to follow along with her tutorial and make the soup themselves. It has since then become a common offering on the menus of country clubs, resorts, cruise ships, and upscale hotels and restaurants. Sometimes this soup is best served as the main entree'. Make the servings a bit larger than you normally would and serve with a crisp dinner salad and crusty French bread spread with real butter. It will provide a simple but filling meal for one person or many. French onion soup could also be a starter for an elegant formal meal. Set a luxurious table complete with chargers, a piece of flatware for every course, wine glasses for the various wines served, and an elegant centerpiece. Your very first course would be the French onion soup. After this, serve a lovely mixed green salad of your choice. A citrus sorbet would cleanse the palate at this point, and then the main entree' can be served. Your main entree' could consist of tenderloin with Bearnaise sauce, potatoes, and julienne vegetables, a choice piece of bronzini with orzo and a bouquet of mixed baby vegetables, or even a portion of lamb chops, mint jelly, new potatoes, and Brussels sprouts. Or serve the French onion soup with a crisp, Ceasar salad at lunchtime. Top the salad with your choice of grilled chicken strips, cold shrimp, or with strips or cubes of a tender type of meat, especially if you have leftover beef such as prime rib or tenderloin. Crusty rolls or croissants with butter will complete this simple but elegant meal. 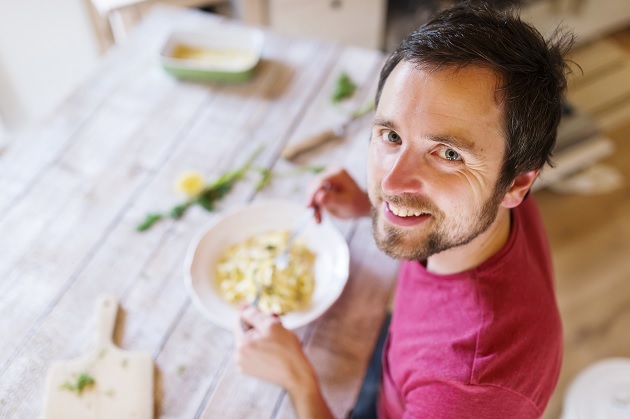 Making a tasty soup is not difficult but can be time-consuming depending on the recipe you select. For example, a five-onion version will take more time and ingredients than a regular recipe with just one type of onions. Most of the time involved in the process is not in the preparation of the dish but rather the long cooking times needed to produce a flavorful product. French onion soup is best served in a heavy bowl that can handle the high heat when placed under the broiler in an oven. Many restaurant supply outlets have bowls specifically made for this soup. Some have handles and some do not. Most are a brown and tan or a solid tan or brown in color. If you cannot locate the right type of bowl for your purposes, try perusing a restaurant supply store or website. Larger ramekins work quite well and are very presentable. Or you can just utilize heavy ceramic or crockery-type bowls which you may already own. Due to the cheese and crouton toppings, the soup is best served individually. To make French onion soup, you first need to make sure you have all of your ingredients. Check your refrigerator and pantry for all of the food articles listed in your recipe. The good thing about this soup is that there really are not a lot of ingredients that are needed. You can use yellow, white, or sweet onions for this dish. Red onions are not usually recommended to be used as the sole onion type, as they can give your soup an unusual taste and color. Cut your onions lengthwise, peel off the outside skin, and continue to slice them into medium-sized pieces. About four cups of onions will be required. You do not have to have small pieces of onion; it is better to cut long, slender pieces. Melt and mix one-fourth cup butter and one-fourth cup oil in a heavy pan, preferably in a Dutch oven or soup pot. Add the four cups of cut onions. It may look like you have a huge amount of onions but give it some time. The amount will be greatly reduced after cooking. Add a teaspoon of white sugar to assist with the carmalizing that will take place. Saute' for about 15 - 20 minutes - the onions should become a beautiful golden brown and smell heavenly. Add a teaspoon of salt, black pepper to taste, and any other seasonings desired. Some like to add a tablespoon of chopped garlic at this point. Add two tablespoons of flour and thoroughly stir it into the onion mixture. Simmer the onions, stirring occasionally, over medium heat for another 30 minutes. Deglaze the pan by scraping all of the brown residue up from the bottom of the pan which holds the onions. Add sherry or apple cider vinegar for extra flavor to the mix. Add four cups of your choice of broth. If you want a vegetarian dish or meal, add vegetarian broth. Drop a few sprigs of fresh thyme in the mixture. Simmer for 30 more minutes and then remove the thyme sprigs from the pan. Pour the mixture into oven-safe crockery - fill the containers about two-thirds full. Top with a slice of toasted French bread or crostini and place a slice of Gruyere or Provolone cheese over the top. Broil in the oven until the cheese melts over the top of the crockery. To serve, place the soup bowls on a plate with a napkin or doily underliner with a soup spoon to the side. This recipe will make six to eight servings, depending on the size of the bowl used. There are many variations of this tasty soup. Some top it with small croutons while others insist on using large, toasted slices of French bread. Gruyere is the traditional cheese used, but many individuals will make it with Swiss, Parmesan, mozzarella, or even provolone cheeses. Some may even top the melted cheese with sliced green onions or freshly sliced chives. Many restaurants will also come up with their own versions of this hearty soup. Some will even put a five-onion soup on their dinner menu. These five onions could be a combination of many types and varieties of onions including white, yellow, sweet, scallions, leeks, and green onions. Red onions can be effectively used in these types of recipes because the color and taste will be diluted due to the many varieties of onions used. 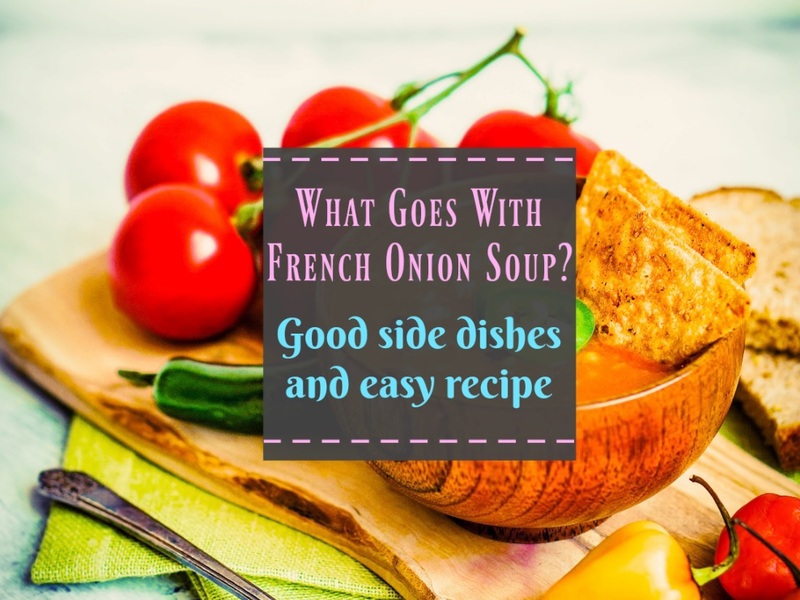 There are also many catered occasions where a French onion soup would be a great addition to a menu. Business luncheons, bridal showers, rehearsal dinners, anniversary celebrations, and retirement parties are all wonderful occasions to serve this tasty soup. Whether you serve it yourself or order it through your favorite caterer, it is sure to be a great hit. If you have it catered, be sure to be very specific in the type of bowl used and the overall presentation. As you can see, this soup is a very versatile food item. It can be a casual meal or part of a very formal dinner. It can be served with salads, sandwiches, or beef tenderloin. Try making it for your family very soon. They will undoubtedly enjoy the sensational taste and unusual texture. They will be clamoring for it again soon, so be sure to keep your pantry well-stocked with s a supply of your favorite type of onions.